The City of Winnipeg plans to spend another $1.4 million on the public plaza at True North Square, part of a series of changes to its plan to offer tax rebates to the downtown project. The City of Winnipeg plans to spend another $1.4 million on the public plaza at True North Square. 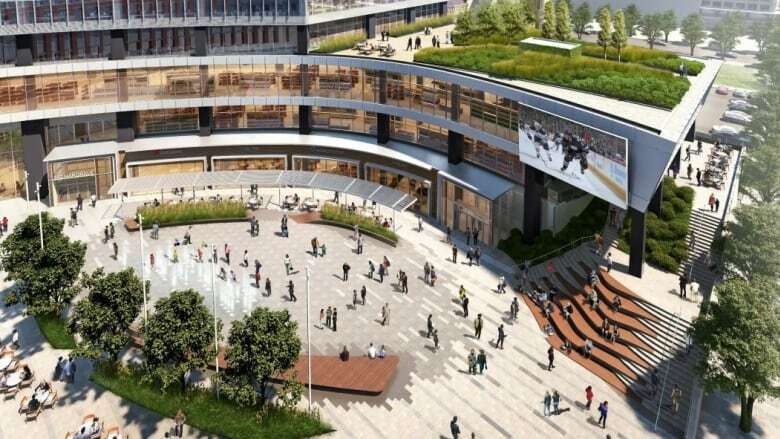 City council's executive policy committee approved a report Wednesday that effectively aligns the city's tax-increment-financing plan for True North Square with a recent provincial commitment to the project. The project, led by the development wing of the company that owns the Winnipeg Jets, includes two towers and a public plaza on the east side of Carlton Street, with two more towers planned for a second phase on the west side of the street. As part of a series of changes to the city's plan to offer tax rebates to the downtown project, the city is upping its contribution to the public plaza by $1.4 million, city planning, property and development director John Kiernan told the executive policy committee on Wednesday. "This is an economic driver for the core of downtown," Kiernan said. The city is now paying for a half of the public plaza, rather than a third of the cost. An earlier city plan called for the province to pay two-thirds of the cost but the provincial government has only committed to covering half the price. The first phase of the project, nearing completion, involves two mixed-use towers of 17 and 25 storeys, plus parking, on the east side of Carlton Street. The second phase, led by Northland Properties, will see a hotel, residential tower and parking rise west of Carlton Street.